I’m popping in today to tell you about the January Who Takes the Cake? Contest Winner! 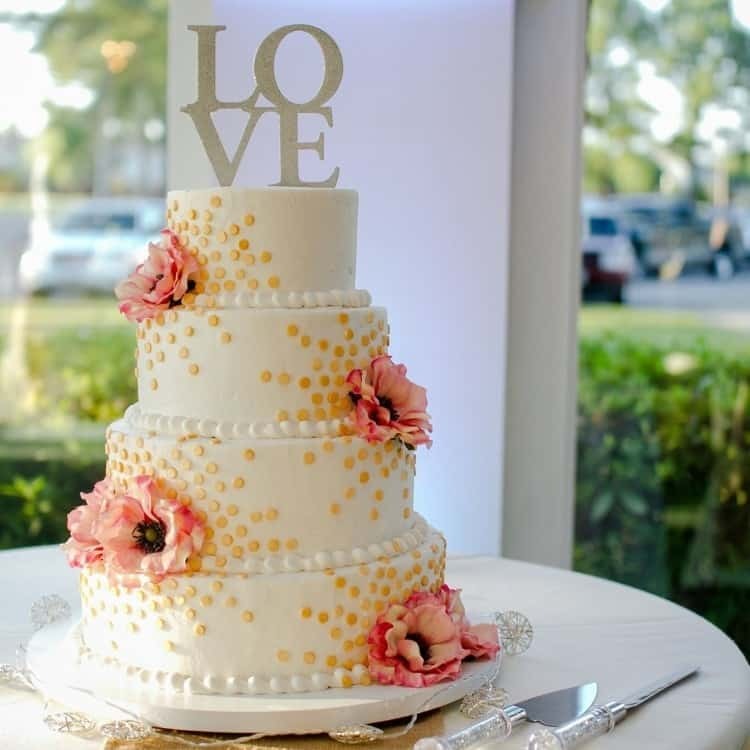 This beautiful “Love” creation is brought to us by Brittany Meeks-Carr of Sugar On Top Cakes! I absolutely love this cake! The pink and gold mix is just perfect!! 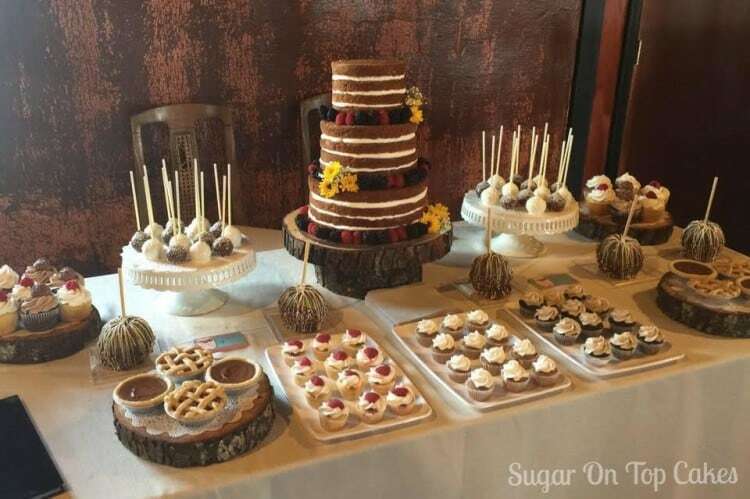 My name is Brittany Meeks-Carr and I’m the owner of Sugar On Top Cakes & Sweets. 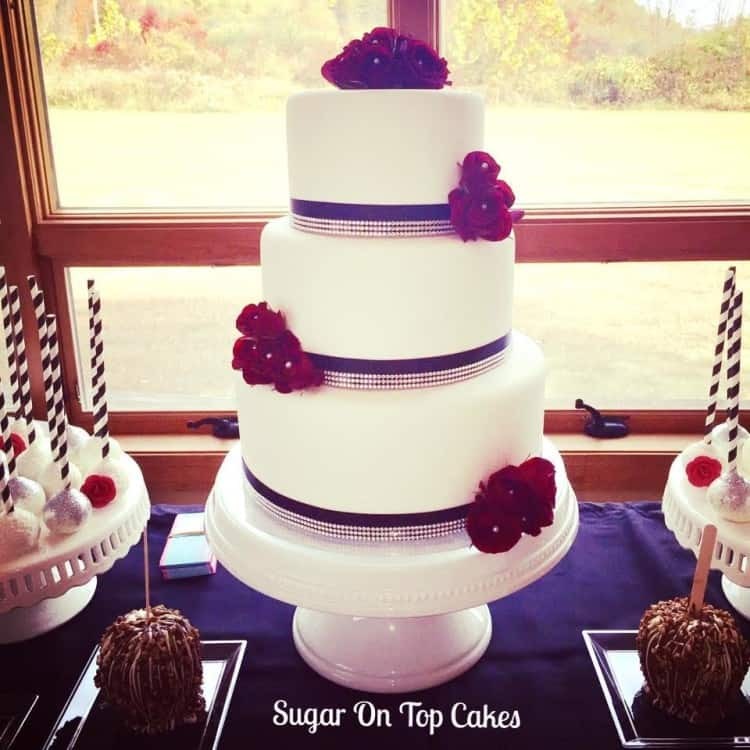 I started Sugar On Top in 2010 in Madison, Virginia. I have always been baker, I can remember being young, maybe 4, and baking cornbread with my great-grandma! In high school, I loved to bake. I came up with an idea to make and sell pound cakes during the holiday season to make money for Christmas gifts. After high school I was supposed to attend Johnson & Wales to become a pastry chef. I was thrown a curveball and I was diagnosed with kidney cancer. My passion was put on hold and I stopped baking. A few years later, a friend needed help piping on a tiered cake, from helping her that one time, it sparked a passion I had buried. I now run Sugar on Top full time and I love every minute of it! 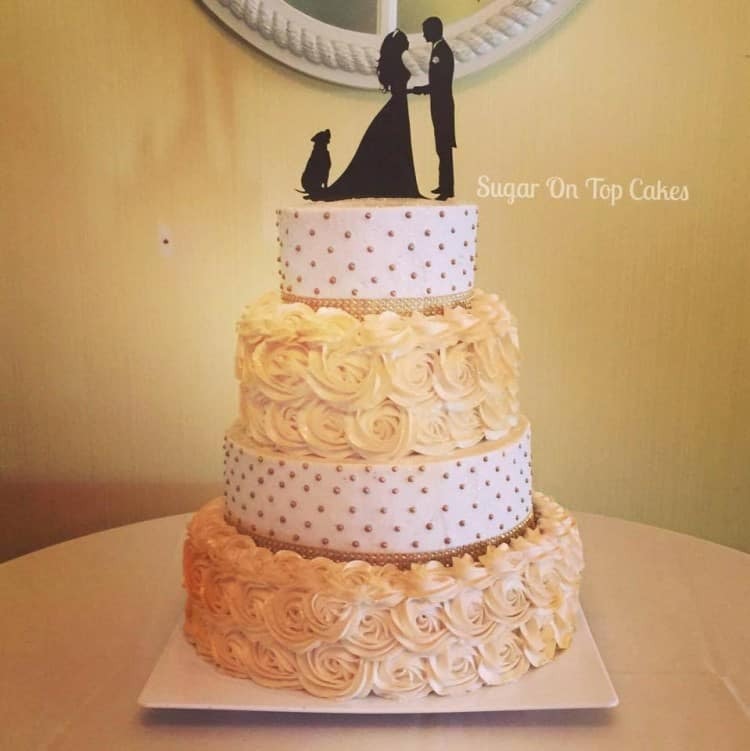 I make all types of cakes from wedding and groom cakes to birthday cakes and naughty cakes for bachelor/bachelorette parties! How inspiring is that!? I love to hear stories of triumph and passion – when someone overcomes difficulty and pushes on with their dreams! Simply amazing! Congratulations again Brittany! 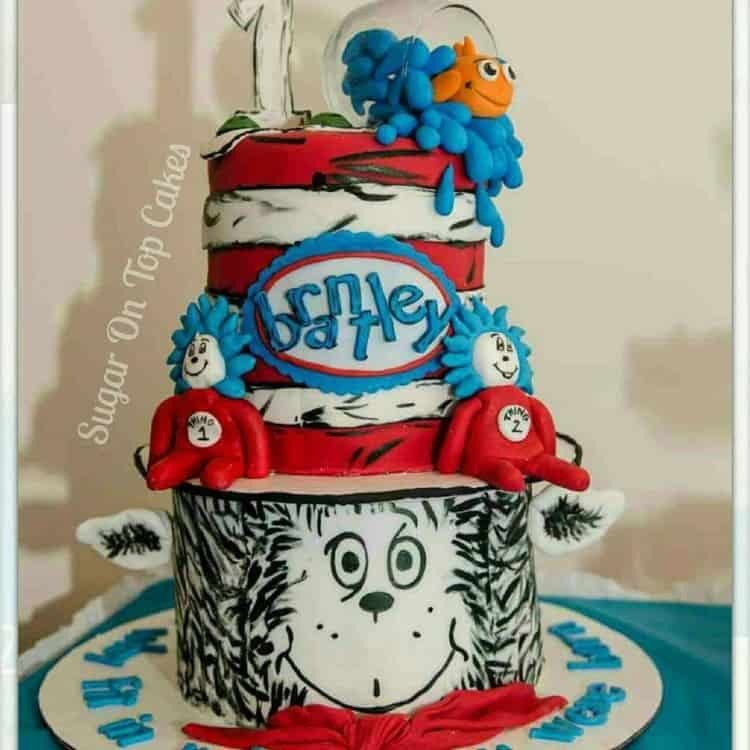 Please visit Sugar On Top Cakes on Facebook here and also follow Sugar On Top Cakes on Instagram here. 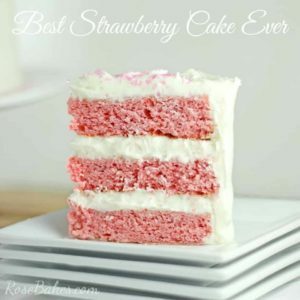 In addition to the cake that won the contest, I asked Brittany to share some of her favorite creations with us and I have to tell ya – you don’t want to miss a single one of them! They’re all fun and beautiful! 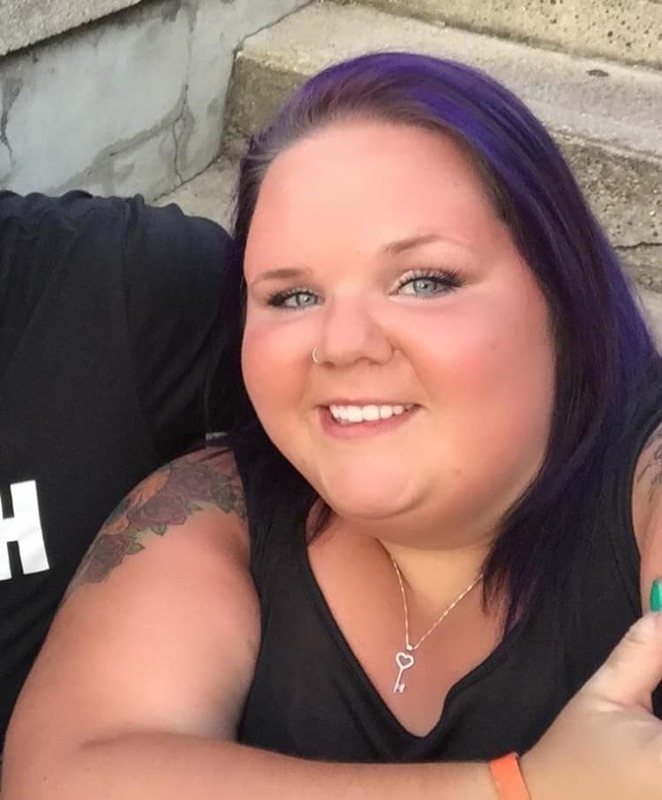 Brittany, your cakes are absolutely gorgeous and your story is inspiring. 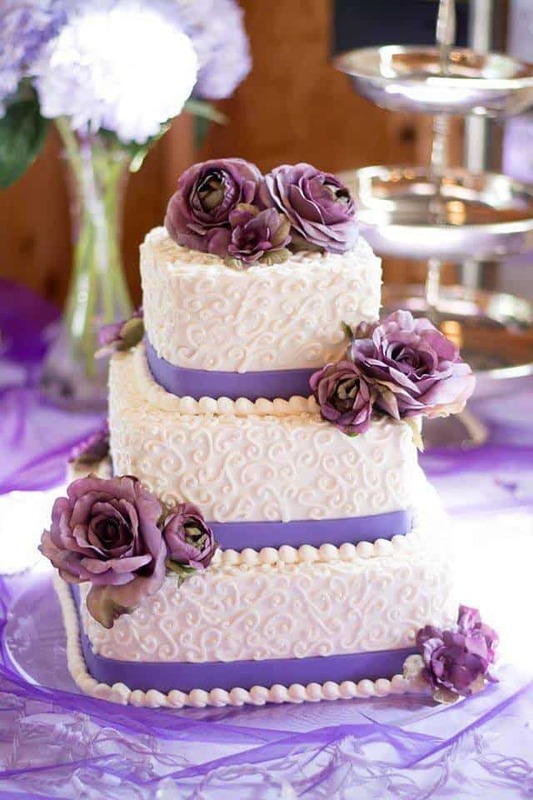 Please tell me what kind of flower is on your winning cake for January. The flower was a type of Anemone!